After taking the eventual NBA Champion San Antonio Spurs to the brink of elimination last spring in the first round of the NBA Playoffs, there was a bit of optimism this season for the Dallas Mavericks. The Mavericks began the season as a veteran team and with the signing of small forward Chandler Parsons and the acquisition of point guard Rajon Rondo, Dallas believed that they were once again ready to contend for the NBA Championship. But unfortunately for the Mavs, things have not gone according to plan. The Mavericks did go 50-32 in the regular season, but that was only good enough for seventh place in the brutal Western Conference. Rondo has never been on the same page with Mavericks head coach Rick Carlisle and a back injury has all but ended his brief tenure in North Texas. A troublesome knee has put Parsons on the shelf as the Mavericks are now on the brink of elimination from the NBA Playoffs and they have yet to solve the riddle that is the Houston Rockets and their shooting guard James Harden. The Mavericks are now on the verge of being eliminated in the first round of the NBA Playoffs for the fourth time in the last six seasons. After years of attempting to reach the summit, the Mavericks were able to find that innate level of team chemistry, ability, and toughness that resulted in the franchise’s first and only NBA Championship in 2011. The Mavericks were the ultimate losers of the NBA’s Lockout that year as with the new collective bargaining agreement, they were unable to maintain the majority of their core players. For Carlisle and Mavericks owner Mark Cuban, they have attempted to re-tool as opposed to rebuilding their team. It has helped the Mavs that veteran power forward Dirk Nowitzki has opted to take less money in order to allow the organization more flexibility to sign quality players. The Mavericks have been attempting to do that as they had a good team this season, but the move to acquire Rondo hasn’t worked out. Rondo helped the Boston Celtics win the NBA Championship in 2008 and he has been one of the better point guards of this era. But at the same time Rondo has been a handful for his head coaches. In Boston, former Celtics head coach Doc Rivers was on the verge of trading Rondo on several occasions before cooler heads prevailed. And when Rondo was traded to the Mavericks earlier this season, he was looked at as being the missing link to Dallas’ potential title chain. Rondo has never been on the same page with Carlisle which has threatened to destroy the Mavericks chemistry. Carlisle consistently benched Rondo in late game situations as he has been a player that has not elected to play within the realm of the Mavericks offense. Rondo is a pending free agent and you can all but eliminate the Mavericks as being a landing spot for his NBA home for next season. The Mavericks already have more than $44 million committed to player salaries next season and there will still need to be some moves that will have to be made on their part if they want to be serious contenders. 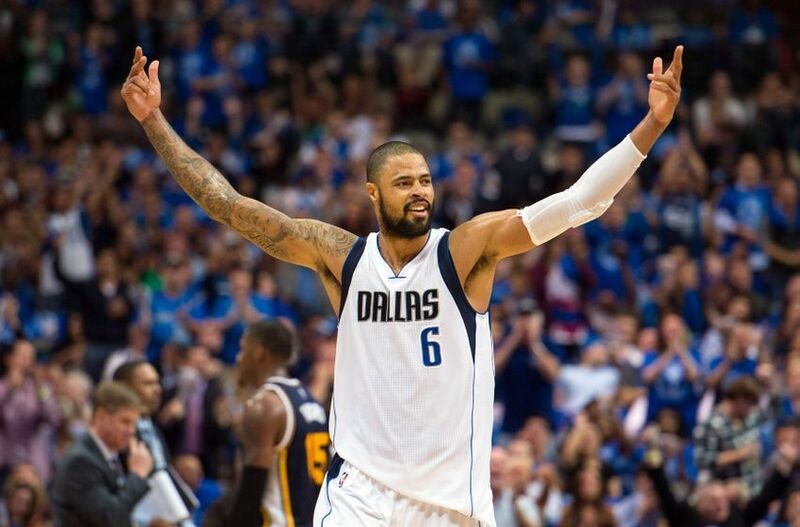 Center Tyson Chandler was one of the top rebounders in the NBA this season and he has always been a favorite of Cuban. Chandler came up big for the Mavericks in 2011 when they won the NBA Championship before leaving town after that season to join the New York Knicks. Chandler was traded back to the Mavs last off-season and it was almost like he never left town. In two seasons with the Mavericks, shooting guard Monta Ellis has been a pleasant surprise and he has played within the realm of Carlisle’s offense as he has also been one of the team’s top scorers. Ellis does have a player option for next season of $8.72 million and he could opt-out as at the age of 29, he’ll be looking for a big pay day. Chandler and Ellis will be priorities for the Mavericks as will the pursuit of a quality point guard; either through the NBA Draft, a trade, or free agency as they need to upgrade their point guard position. Chandler is only 27-years old as he is looking to recover from his knee injury and when healthy he can be a solid wing player. The Mavericks also must get their defensive intensity back as they were 25th in the NBA this season in points allowed which is not going to cut it if they want to entertain any thoughts of winning another NBA Title. More than ever you need to have a complete team if you’re going to advance in the Western Conference Playoffs as it is extremely difficult to navigate there even with a solid squad. Nowitzki will be 37-years old in June, but he has shown that he can still get it done on the offensive of the floor in a very effective way. Carlisle is still one of the best head coaches in the NBA and Cuban is one of the best owners in professional sports as far as giving the people that work for him everything necessary for them to succeed. After tasting championship gold in 2011, the Mavericks are eager to once again reach that pinnacle and this summer will go a very long way in determining how long that it will take them to get back there.